Since I can remember people have called me a modern hippie; I walk barefoot when I can, I try to eat organic and I care about the environment. This also inspires my design aesthetic by using lots of pattern and texture. 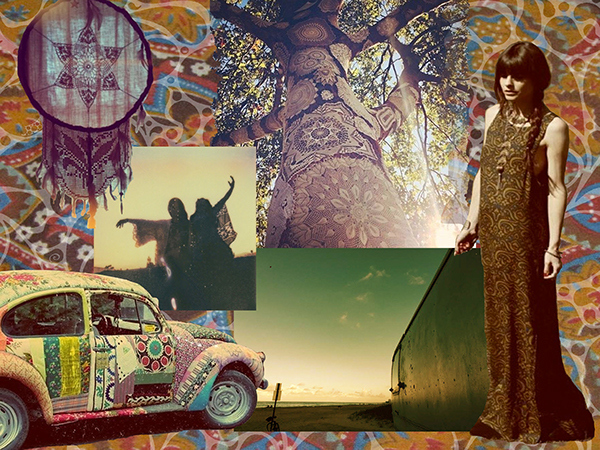 The 70’s was an era of great change and expression either through art, fashion or just self-expression. 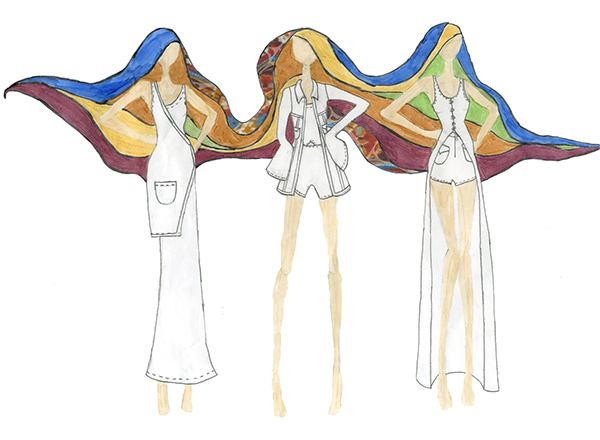 For collection II, I was inspired by the carefree feel of the bohemian culture through fabric and earth tone colors of the 70’s. 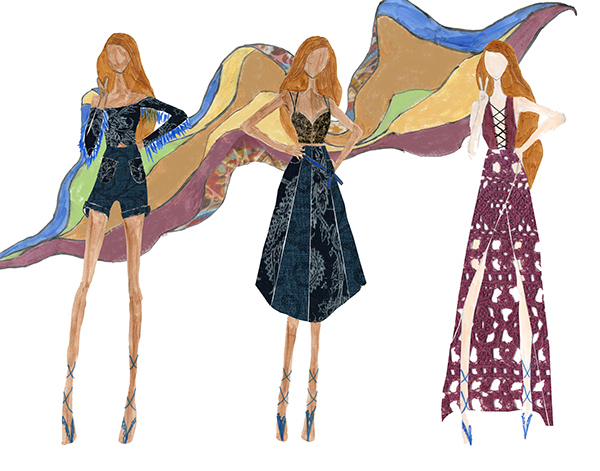 My concept started in a different direction because while I was exploring fabric stores, dyeing and collaborating on a print, I found the colors and patterns to be more inspiring. 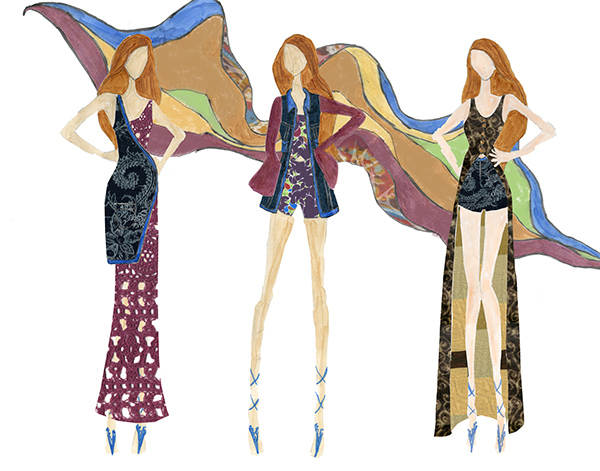 From colorful patchwork, swirled velvets, paisley denim to hand dyed lace this is what really pushed me to get the essence of the 70’s through my looks. 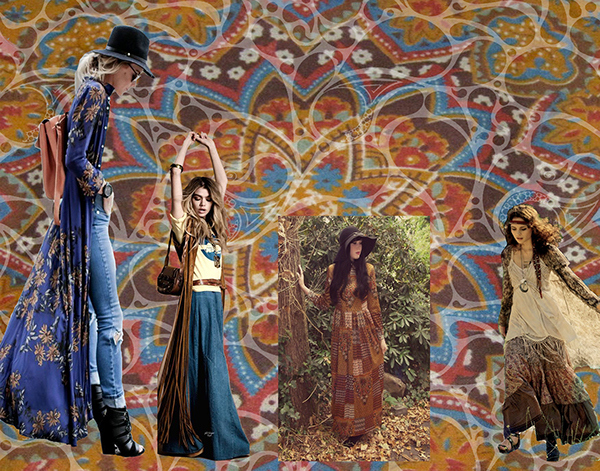 I mostly used long silhouettes that were popular then but added a modern twist for the bohemian woman of today. 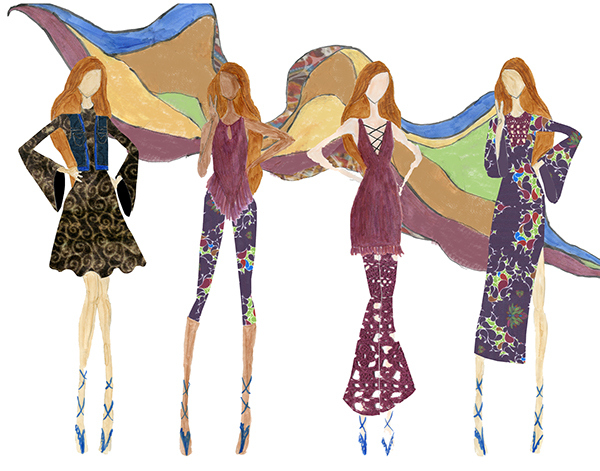 My collection is called Spirited and is ready to wear for Spring/Summer. 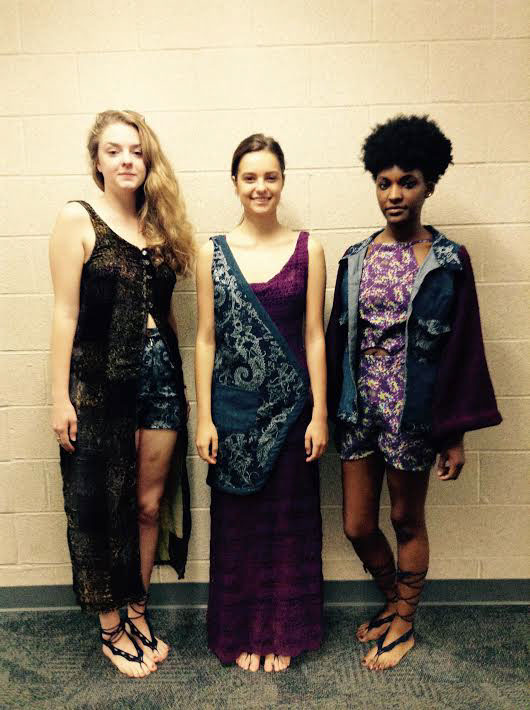 This collection is a boho festival collection that could be for junior or older depending on people’s style. My customer is a little younger so I think my collection would range from $80 to $400. The ideal customer would be someone who likes texture and pattern; who likes to wear bold colorful clothes. The 70’s were known as a time for self-expression and freedom so in my collection I want show people that they can be themselves and express themselves through clothes. I want my collection to show people that they shouldn’t feel judged by others they can feel comfortable and free to be themselves. 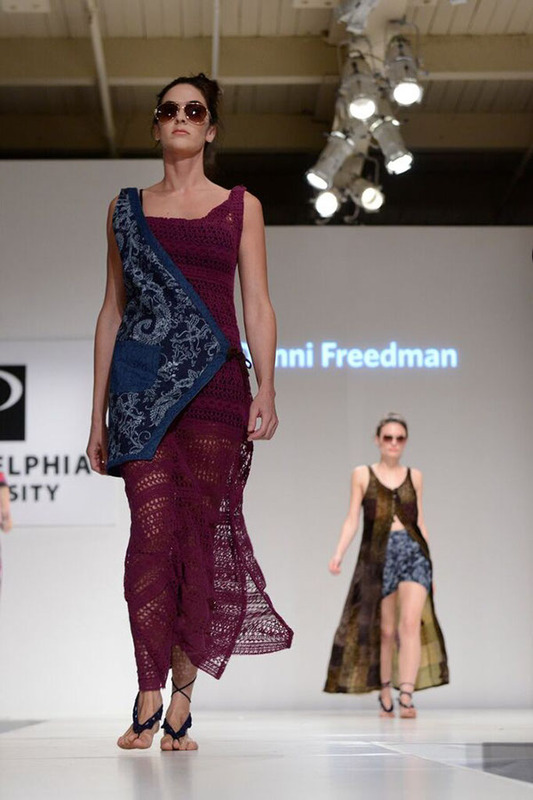 Philadelphia University always has a Fashion Show. 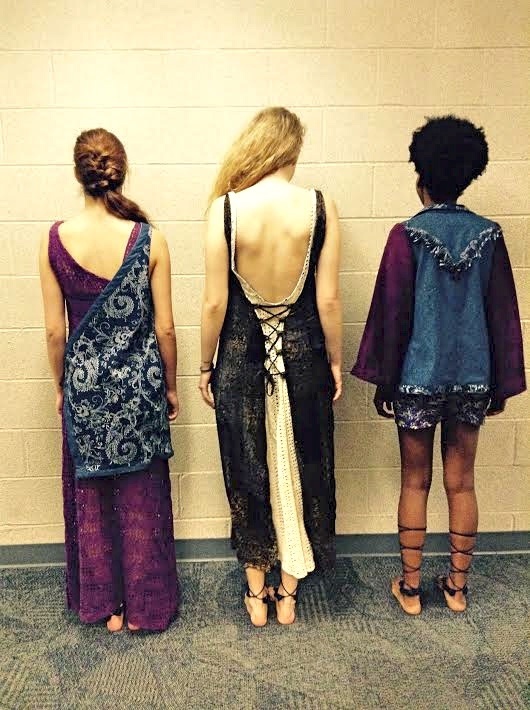 Here are my garments on the runway!